Excellent solar geyser prices on our Premium solar water heaters, Kwikot solar geysers, solar geyser conversions, split solar systems and also Apollo solar geysers in Bedfordview provided by Solar Guru. Eliminate electrical geyser usage and save financially by installing a solar geyser. With our solar geyser prices in Bedfordview, you will make a great investment financially and to the environment. Calculate savings by using our Solar Geyser Savings Calculator. Get the best solar deals at Solar Guru which offer outstanding solar geyser prices in Johannesburg. Using the sun to power a solar geyser, therefore, eliminating standard electrical needs. Save money and electrical demand in Bedfordview today. Introducing solar hot water systems, therefore, pose a great alternative to standard electrical geysers. However, the demand is high for solar-powered water heaters in Bedfordview, because of the rising electricity costs. Energy from the sun is used as a source to heat water. Solar geysers in Bedfordview are typically installed on roofs because there is enough sunlight. Using the sun as an energy source, therefore you will save money and also decrease the negative impact on the environment. We at Solar guru has a wide range of solar products at competitive solar geyser prices in Johannesburg. Used in Bedfordview and Johannesburg and the most popular and also the oldest solar system is Solar flat panel collectors. Two grades of solar flat panel systems in the area of Bedfordview, low graded solar flat panel collectors and high graded solar flat panel geysers. Offered by Solar Guru is our High graded solar geyser flat panel collectors. Simplistic technology is used in solar geyser flat plate collectors and its also easy to manufacture. Our solar flat plate collectors offer a great value for money to our clients in the area of Bedfordview. Retrofitted solar geyser flat plate collectors using a Geyser wise electrical backup system in the Bedfordview area. Solar Guru is a leading solar flat plate supplier and installer. All our solar flat plate collectors in Bedfordview are SABS approved and as a result, comes with a 5-year manufactures warranty. A 1-year installation warranty on our solar flat plate collector. Approvals of solar flat panels by all estates and residential complexes in Bedfordview and surrounding areas of Johannesburg. Compliment your property with solar flat panel geysers, therefore providing your home with a modern look in the area of Bedfordview. Ensure high thermal output that will last you years with our high quality solar geysers. Using our solar flat plate collectors in Bedfordview, therefore, eliminating the visual impact of the geyser installed on your house. Resistance to wind because of the design of our solar flat panel collectors offered in Bedfordview. Frost protection on all our solar flat panels combined with the Geyser wise max system, that is to say when temperatures go sub-zero in the area of Bedfordview. Installing solar geyser flat plate collector in Bedfordview is a simplistic task. For instance, our solar geyser flat plate collectors have a groove in the frame, therefore allowing them to be mounted by brackets on a roof. Requires minimal maintenance on solar flat panel collectors, as a result of their high-quality design. Assistance by our professional team are what Solar Guru offers you. 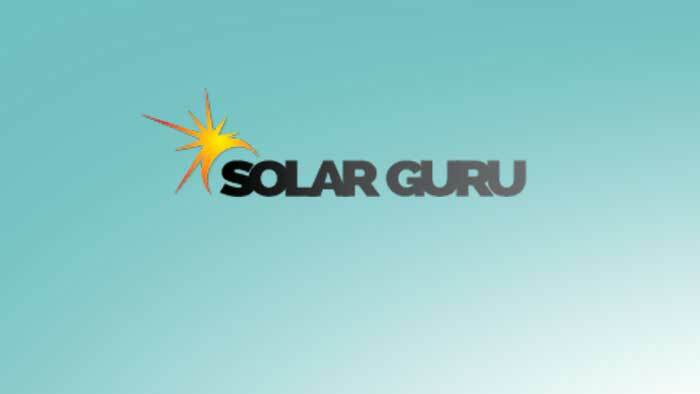 10-year Installation services on solar geysers and solar flat panels provided by Solar Guru. Buying a solar flat panel geyser in Bedfordview includes all installation fees. Circulating water is heated by solar flat panel collectors to a temperature less than the boiling point. An excellent solution by our solar flat plate collectors, because households in Bedfordview demand water temperatures of around 30-70°C. Energy used by the solar flat panel collector is sourced by the sun. Sales of solar flat panel geysers are in high demand. Heat 200L up to 400L of water per day depending on the climate of the Bedfordview area. However, install a solar flat panel in Bedfordview and get a retrofitted 150L Guru split system geyser, 200L Guru split system geyser and our 300L Guru split system geyser. Energy consumption to heat water in Bedfordview is 40-60% of all household electrical appliances. Therefore, save 50-70% with solar hot water heaters on expenses. Very competitive solar geyser prices offered by Solar Guru in the area of Bedfordview and Johannesburg. Solar Guru is a proud supplier of Apollo Solar geysers in Bedfordview and surrounding areas of Johannesburg. Solar Guru is a proud Apollo solar geyser installer in Bedfordview, therefore, you’ll save on expenses but also contributes to reducing our carbon footprint on the world. How much you save using an Apollo solar geyser in Bedfordview. Benefit from our affordable solar geyser prices in Johannesburg, you’ll save on energy, therefore your expenses are lowered to heat water. Consumption demand on energy by an electrical geyser is high. Use our Solar savings calculator to determine your total Apollo solar geyser savings in the area of Bedfordview. Call one of our friendly Gurus for any assistance in the Bedfordview area. Apollo solar geysers in Bedfordview consist of modern tube technologies. Thick 2.2mm evacuated tubes on Apollo solar geysers in Bedfordview. Apollo solar geysers have a pre-coated resistant wrap which protects against corrosion in the area of Bedfordview. The Apollo high-pressure water heater in Bedfordview is rated at 400kPA. An electrical backup system, Geyser wise element controller, is included in our Apollo solar geyser products offered in Bedfordview. Heating of cold water in the Apollo solar geysers offered in Bedfordview is done by a copper rod inside the vacuum tube of the storage tank. Solar Guru provides well equipped and professional Apollo solar geyser installers in the area of Bedfordview and surrounding areas of Johannesburg. Contact one of our Guru’s today for more information regarding our Apollo high-pressure solar geysers in Bedfordview. A perfect solution providing hot water, for instance, benefits a household with 1-2 adults living in Bedfordview. A perfect solution providing hot water, for instance, benefits a household with 2-3 adults living in Bedfordview. A perfect solution providing hot water, for instance, benefits a household with 3-4 adults living in Bedfordview. A perfect solution providing hot water, for instance, benefits a household with 5-6 adults living in Bedfordview. See all our Apollo solar water heating products proudly offered in Bedfordview by Solar Guru. Installing an Apollo solar geyser, however, relies on the Bedfordview climate and the location best suited for its installation. Install Apollo solar water heaters in areas with enough sunlight exposure and not in shade. The professional Solar Guru team in the area of Bedfordview will best assist you by the placement of your Apollo hot water solar heater. Save with our Promotions and our solar geyser prices. Solar Guru also offers Solar Geyser Conversions are a great alternative solar solution. Excellent Solar geyser prices in Johannesburg by Solar Guru. Add an investment to your home by Apollo Solar Geysers and Premium solar Geysers.